“To be able to re-engage with the human side you need a catalyst,” says Dr. Crossman, who recounts that during his medical training—long before the book came out—he used to read poems himself. “I felt hugely energized by reading them,” he says. Some young doctors say the poetry book is helping them. Lewis Hughes, age 23, graduated from medical school in 2017 and is currently in Dundee, Scotland, in a two-year rotation of clinical training. A poem he found very meaningful is Bernard O’Donoghue’s “Going Without Saying,” which affirms the value of simply telling someone how much we like them. He says it is heavily related to his work. In The Good Mother, Moriarty writes with compelling authority about the world of hospitals; the febrile atmosphere, the logistics, the visceral reality of being an unwilling patient in a hospital bed, when you’d rather be literally anywhere else in the world. She probably didn’t realise it, but her own unexpected stint in hospital some time ago gave her first-hand experience to draw on for this novel. A year ago, Moriarty was diagnosed with rheumatoid arthritis, something that she is now choosing to speak publicly about for the first time. “I had a sore knee for no reason,” she recalls. “I had iced it, taken anti-inflammatories, had physio, and it still wouldn’t go away. I was freezing during the day, and waking up at night drenched in sweat, and was exhausted all the time.” Her GP sent her for tests, and she remained in hospital for a week.  Everyone agreed that there was some pity felt for the main character.  The main character in this extract was an important, wealthy and powerful Russian man.  Diagnosed with a cancer.  Although he is a powerful man, this scares him, becomes more superstitious.  Tries to use his wealth and power to get better healthcare and fails.  Although he doesn’t have the nicest personality, we all empathised with this character. 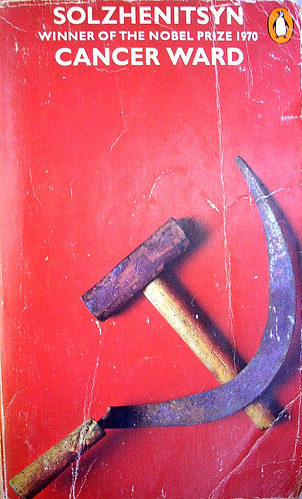  The whole text really acts as a contrast to communism in Russia. able to use his wealth for an advantage.  Russian expressions in this text emphasise this. how they are portrayed when they are involved.  The main character goes into a lot of detail when describing the doctor in his opening scene. The Fault in Our Stars opens with 16 year old Hazel Grace Lancaster reluctantly attending a support group for children living with cancer. Hazel was diagnosed with Stage 4 Thyroid cancer when she was 13 (three months after her first period). At support group she meets Augustus “Gus” Waters, a former basketball star who lost a leg to osteosarcoma, and quickly becomes infatuated with him. Hazel convinces Augustus to read ‘An Imperial Affliction’, her favourite book, and he becomes almost as obsessed with it as she is. Intrigued by her intelligence, Gus begins to reciprocate her feelings, and the two begin to text and call each other frequently. After Hazel is admitted to, and later discharged from the hospital with serious pneumonia, her relationship with Gus deepens. Gus had saved his wish from “The Genies” (a fictionalized version of the Make a Wish Foundation), and decides to use it to fly himself and Hazel to Amsterdam in the Netherlands to meet Peter van Houten the reclusive author of ‘An Imperial Affliction’. On their first night in Amsterdam, they are treated to an elaborate meal, courtesy of van Houten. Their meeting with the author goes less smoothly, as it emerges that Lidewij, his assistant, set it up without his full knowledge in the hopes that it would inspire him to give up alcohol and write again. Van Houten is scornful and rude to the teens, and refuses to answer their questions. Distraught by their reception, Hazel and Augustus leave van Houten’s house, accompanied by a disgusted Lidewij. She takes them to the Anne Frank house, where they kiss. Afterwards, Augustus reveals that his cancer has returned and has metastasized to several other parts of his body. Even though he starts an aggressive treatment regime when he returns home, he is not expected to survive long. Shortly before he dies, he asks Hazel and Isaac, another friend, to conduct a pre-funeral for him, so that he can hear how they will memorialize him. 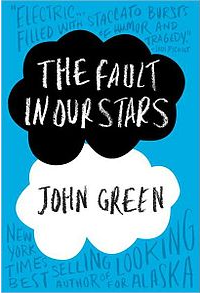 Eight days later, Gus dies, and Hazel speaks at his funeral. Instead of the earnest speech she gave to him and Isaac, she repeats platitudes that will reassure his parents. After the funeral, she meets van Houten, who traveled to America to be there. He reveals that his daughter died of cancer. She provided the inspiration for Anna, the main character of ‘An Imperial Affliction’ and his rudeness can be partially attributed to Hazel’s appearance (she had dressed just like Anna). She also discovers Augustus had been writing something for her, although the pages were torn out of his notebook. Eventually, she is able to track the pages to Amsterdam, and after an email to Lidewij, they are retrieved from van Houten. Augustus wanted van Houten to turn his notes into a fitting eulogy for Hazel, but van Houten decides to leave Augustus’s words alone. It was clear from the start of Stephen Hoffman’s “Under The Ether Dome” that the writer had a great head on his shoulders – a maturity and ability to see into the heart of matters. This is evident from the start as he says “Our subject after all was people”- which showed a solid understanding of the fact that medicine is about people and their individual all-round situations and not just the science of their disease. He appreciates the role played by those physicians that went before him and pays due respect – he refers to Newton’s belief that he himself would only find success in life by “standing on the shoulders of the giants that preceded him”. He appreciates the footsteps he is following in and wonders if he will “prove equal to the task” before him. He seems a very holistic thinker, both scientifically and non-scientifically, he questions whether medicine’s “reductionist attempts” really uncover the true essence of human physiology and anatomy which seem to “politely rebuff” the efforts of those who try to uncover “her infinite wisdom”. The enthusiasm and intrigue expressed by the writer in absolutely every little thing he learned in medical school, however, soon became exhausting, not to mention unbelievable. Instances of him and his classmates “edging forwards in their seats” in lecture halls, coupled with constant intrigue in every and any detail passed onto him by his professors were far too frequent and, in the opinion of a current stressed, knowledge saturated medical student, completely unbelievable. The writer could again be seen letting his imagination run away with himself when he talks of his love of Medical Literature and how he would incorporate the fiction found in his beloved stories into his everyday rotations. His tendancy to look through “the lens of fiction” at real cases in order to gain a fresh, new perspective was, although a nice idea, somewhat OTT. Fiction is generally, by nature, something special and extraordinary and to think that it would be used in such a hands-on way with real patients does not sit well with this future health professional/occasional patient. Hoffman displays great integrity when he hesitates to go through with his first suturing attempt on an actual patient as he doubts his fledgling skills. He puts the welfare of the patient before his own personal development as a professional and this is an admirable quality. He incites a certain poignancy when he refers to the gift of potential self-sacrifice given by patients in teaching hospitals when interns are let loose on the wards and he prays “One accepts it and hopes that it will have a return for others one day”. Hoffman’s enthusiasm in this extract certainly rubbed off on me and reminded me of the importance of starting as one means to go on in medical school as we see that the qualities of integrity and respect he encompassed from the start of his studies stayed with him all the way to his clinical beginnings.